Hi friends! A couple weekends ago I was fortunate enough to see my parents for Family Weekend, and let me tell you, it was definitely something I needed. These past few weeks have been surreal. I waited so long for college, and now that I am here experiencing it first hand, I can confidently say it has blown my expectations out of the water. My transition into the life of a college student has been fairly smooth! It also helps that my sister is a senior here at Samford, so having her by my side cheering me on has been the best! Certainly these past few weeks have been packed full of good laughs and late night trips with my new friends, but nothing could beat seeing my parents this weekend. They drove from Austin, and we got to spend most of the weekend here together. On Friday night, we went out to dinner as a family with my sister’s best friends, and then Saturday the real fun began! We met up at the football tailgate and spent time at the different tents mooching off of the variety of food offered (of course). I just became a Chi Omega so we got to visit their tent, and my parents got to meet some of the girls in my sorority that mean so much to me. Of course we couldn't leave out the Texas tent, so we headed over there to meet people that are from a similar area as my family and me. It’s really incredible meeting your classmates and their families especially when they’re from the same state as you! After the game, we just chilled out together as a family because nothing is better than quality time in the AC (it was only 97 degrees during the game so we needed to rest). Those are the moments I miss the most with my family: just hanging out and catching up. Saturday night we all went out to eat with my roommate, Annie, and her family. I have been seriously blessed to call my roommate one of my best friends here at Samford, and getting to spend the night alongside the people that shaped us into the college kids we are now was pretty great. The following morning we went to church where my sister sings in the choir, and then went out to eat at the infamous Taco Mama. We said our goodbyes, which are always hard, and I headed back to campus for another busy week. All in all, the weekend was incredible and so good to catch up and be loved on by my parents that miss me almost as much as I miss them! 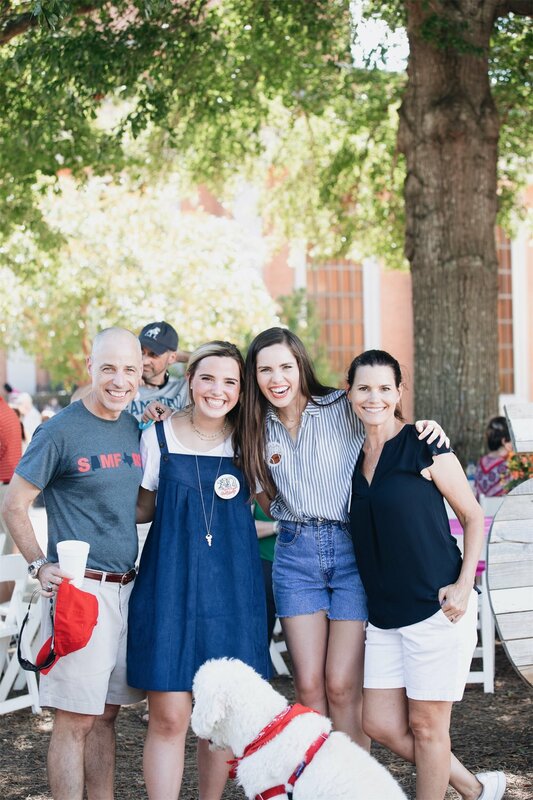 I am grateful to call Samford my new home, and having new people here to love me and encourage me the way that my family does has made my transition here and Family Weekend so much sweeter.